I, Robyn Thompson, will be teaching an all day workshop this coming Saturday for Tampa REIA at the Doubletree Suites Tampa Bay, 3050 North Rocky Point Dr West, Tampa, FL from 9AM to 5PM with a BONUS Session from 5:30PM to 8PM. The all day class from 9:00am to 5:00pm will focus on rehabbing houses. January 2019 from nightly Vacation Rentals. The amazing thing with vacation rentals is they make 3 times the cash flow of a monthly rental. If so, please join us Wed at 6PM at the Property Protege Group hosted by Don DeRosa and Dustin Griffin. This Month we meet at the Clubhouse located at 61 Phyllis Terrace, St Petersburg, FL at 6PM. An Exciting Opportunity Coming Your Way! Robyn Thompson, the “Rehab Queen” has shared her knowledge with Tampa REIA and thousands of students across our nation and is now coming back to Tampa REIA on Thursday, March 14th from 5PM-9PM at the Doubletree Suites Tampa Bay located at 3050 North Rocky Point Dr. West in Tampa, FL to explain her perfected system home buying and selling system and how it will work for you. This is not a “blue sky” program but a real system that each and everyone of you can implement to put $20K cash, or more, in the bank each month. Robyn has rehabbed over 390 properties in her 20+ years of real estate investing. Robyn presents the most up to date strategies for buying low and selling high to ensure large profits and that is why she is one of the most high demand speakers in the nation. Answers to Your Questions & More! As you can see this will be a knowledge packed evening full of excitement and education. Make a list of your questions and have them ready for her at her table following the end of the session. Robyn will remain at or near her table answering all questions possible for each and every one. As always, Tampa REIA Members can attend our Tampa REIA Main Meeting event at no charge and Non-Members can Register Online for $15 or pay $20 at the door. Be sure to bring your business cards and flyers and join us for an evening of real estate deals, vendors, networking, education and fun on Thursday, March 14th! See you there! Join Don DeRosa this month at 5PM Sharp at our “Meeting-Before-the-Meeting” where he will show you uses technology to be 99% paperless. Don will show you how to turn your iPad, Android or Surface into a super productivity machine you can’t get along without! *2-for-1 Early Registration Special for Members Only. Register Now! You’ve probably heard the saying… "You make your money when you buy". This means YOU MUST KNOW YOUR NUMBERS BEFORE YOU BUY! Instead of learning these valuable due diligence skills the hard and expensive way, be sure to attend the upcoming, highly affordable, ALL NEW, Due Diligence Workshop with Don DeRosa & Dustin Griffin on Saturday, March 16th, 2019 from 9AM to 7PM at the Doubletree Suites located at 3050 North Rocky Point Dr West in Tampa, FL. *PLEASE NOTE: The 2-for-1 Early Registration Special is for Tampa REIA Members Only and expires on March 14th at Midnight. The 2-for-1 Special is for Tampa REIA Member’s spouses, parents or adult children only who are also Tampa REIA Members. If you are not already of member to Tampa REIA, you can join at http://tampareia.com/membership. REGISTER NOW WHILE SEATS ARE AVAILABLE for the workshop and join us at the event! Be sure to bring a light jacket, pen and paper for taking notes, and your computer and/or mobile device. Robyn Thompson’s Rehab Workshop Just Got Even Better! VACATION RENTAL BONUS SESSION JUST ANNOUNCED!!! 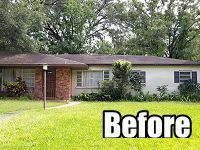 Learn How to Turn Foreclosures, Estate Sales and Unwanted Houses into Fast Cash! Robyn Thompson is the nation’s leading expert on buying properties at deep discounts, renovating them at lightning speed and selling them quickly for huge chunks of cash. 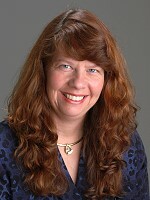 Robyn has shared her knowledge with thousands of real estate investors. She is coming to Tampa Florida for a full day Rehabbing Workshop to teach cutting edge strategies that will produce huge profits in today’s market on Saturday, March 23rd from 9AM to 8PM at the Doubletree Suites, 3050 North Rocky Point Dr West in Tampa, FL. 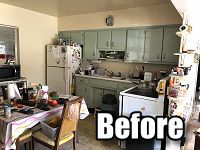 Robyn has rehabbed over 390 properties in her 20+ years of investing and the majority of her profits were made on properties that were in a depressed market. As you can see this will be a knowledge packed day full of excitement and education. We look forward to seeing you at this great event on Saturday, March 23rd. Register Now! BONUS SESSION on Vacation Rental Business! Now for the HUGE BONUS for you! Robyn has been doing extremely well with her 7 vacation rentals. We asked her to stay late and do a 2.5 hour training from 5:30PM to 8:00PM about vacation rentals such as VRBO, Homeaway, AirBnB, etc and she agreed! 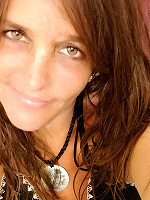 She will be teaching you how she has made $118,753 since the beginning of January 2019 from nightly Vacation Rentals. To get signed up below for this all day workshop on Saturday March 23rd, 2019 for only $19 to $69 per person depending on your Tampa REIA Membership status. Come See This 80% Complete Rehab Project in Clearwater! 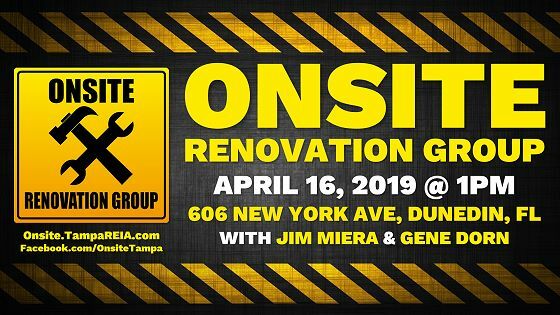 Please join us on Tuesday, March 19th at 1:00PM for the Tampa REIA Onsite Renovation Group (ORG) hosted by Jim Miera, to learn all about finding, funding, fixing, and flipping houses for big profits. 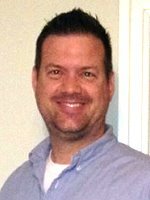 This month’s meeting will be held at 1477 S Betty Ln, Clearwater, FL which is a rehab project being managed by Kevin Mika. Don’t miss this huge learning opportunity with this home where many important category learning details will be shared!! This real Onsite case study is 80% complete and features a 4 bedroom, 2 bath, 1 car garage with 1676 square feet of living space. Great tricks and tips of the trade will be shared with the group including how to do nice fix and flips even if you have a full-time job. 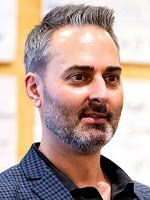 Don’t miss this unique real time Onsite learning case study at March 19th at 1PM. RSVP Now and we will see you there! 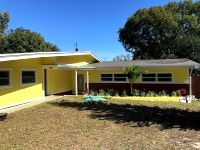 Come See This Retro Rehab Project in Clearwater! 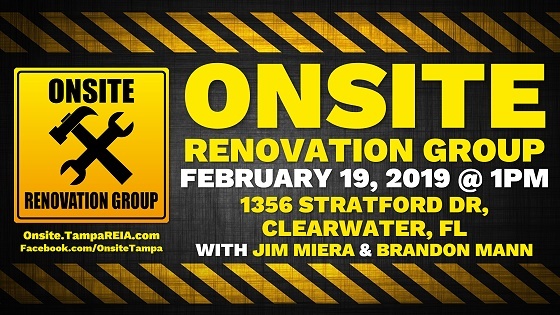 Please join us on Tuesday, February 19th at 1:00PM for the Tampa REIA Onsite Renovation Group (ORG) hosted by Jim Miera, to learn all about finding, funding, fixing, and flipping houses for big profits. 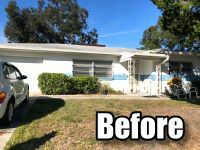 This month’s meeting will be held at 1356 Stratford Dr, Clearwater, FL which is a “retro” rehab project being managed by Brandon Mann, a local Realtor. Don’t miss this next renovation with a bunch of learning opportunities to be gained! This house was purchased with some unique creativity! This block home features 3 bedrooms, 2 baths, 1 car garage with 1166 sq feet and will sell for about $249,000 when completed! Nothing has been updated since 1957 (very retro)! This house is currently about 60% complete. Don’t miss this great Onsite Retro Rehab on on February 19th at 1PM! This rehab will be an exciting and powerful event to learn from! RSVP Now and we will see you there! 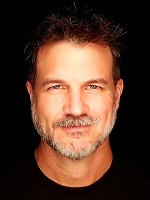 Join me at the Tampa REIA Main Meeting on Thursday, February 14th from 5PM-9PM at the Doubletree Suites Tampa Bay located at 3050 North Rocky Point Dr. West in Tampa, FL and I will share with you, many of the Subject-To tools and techniques I use every day to create winning deals for myself as well as my buyers and sellers. As always, Tampa REIA Members can attend our Tampa Main Meeting event at no charge and Non-Members can Register Online for $15 or pay $20 at the door. Be sure to bring your business cards and flyers and join us for an evening of real estate deals, vendors, networking, education and fun on Thursday, February 14th! See you there! Join us at this month’s Tampa REIA Meeting Before the Meeting on Thursday, February 14th at 5PM Sharp at the Doubletree Suites Tampa Bay where our special guest speaker will be Tangie Cousins, the Hot Lead Chick. She will be teaching you a lot of different marketing techniques and strategies such as… 1) How to write your letter if you are an Investor versus a Realtor. 2) How often you should mail and how many times. 3) What to say and what not to say in your letter and more. 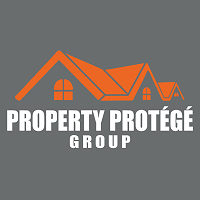 If so, please join us Wed at 6PM at the Property Protege Group hosted by Don DeRosa and Dustin Griffin. This Month Only, We are Meeting at IHOP, 30200 US Hwy 19 N, Clearwater, FL. George has been working on this new paradigm, a 4th method, called “Hacking Finance” – that promises the ability to LEARN and IMPLEMENT each financial strategy within a total of 6 hours or less, and then place it on autopilot to keep working for you! 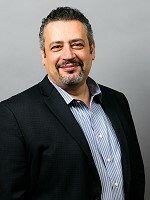 That’s exactly why we’re excited to have Paul Rossano, George’s top trainer, as our guest speaker this month at the Beginning Investors Group Online on Tuesday, January 22nd at 7PM ET where he will be sharing this unique and creative new way to approach finance and investing. RSVP for the Webinar Now and join us on Tuesday, January 22nd at 7PM ET and experience what George’s inner circle is using to build their wealth and peace of mind, in a relatively short period of time. Join us at the Tampa REIA Main Meeting on Thursday, January 10th from 5PM-9PM at the Doubletree Suites Tampa Bay located at 3050 North Rocky Point Dr. West in Tampa, FL where Larry Harbolt will be talking about how important structuring deals is to your real estate business. He is going to talk about the most important “parts” of structuring the offers you make. Making profitable offers has always been a major weakness most investor’s have because they lack the fundamental knowledge of how deals can be structured. Instead, they tend to make offers only one way… a low, all cash offer. 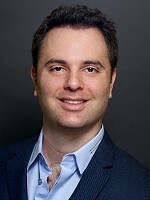 Larry has spent years figuring out how to structure offers by using different techniques that will always increase the investor’s success rate. He’s going to share many of these techniques with you on Thursday. Larry will also be talking about how paying interest steals not only profits and monthly cash flow, but also has a major effect on how your deals can be structured. This may sound simple, but you will be amazed at what you learn about how to structure your deals going forward. Larry will also go into great depth on these subjects on Saturday, January 12th at a full day Deal Structuring Workshop. This is going to be a day full of information that can change, not only the way investors structure their deals, but also how they can increase their profits by altering the 4 parts of every offer they make to every seller. This is new information Larry has only presented once and received rave reviews. The information he will be presenting to us is unique and is a subject no other teacher of real estate teaches at any level. You don’t want to miss what Larry has to share on Thursday, January 10th at Tampa REIA and also all day Saturday, January 12th at the Deal Structuring Workshop. 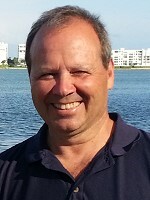 Come join us on Thursday, January 10th at Tampa REIA with Larry Harbolt and learn how to evaluate deals better and faster! RSVP NOW & DON’T MISS IT! Make your plans now to be there for this unique, new information that will change the way you buy houses and make more profits on the deals you do while others who don’t attend will be clueless what you’re doing and why you’re doing deals they can’t do. RSVP Now! As always, Tampa REIA Members can attend our July Main Meeting event at no charge and Non-Members can Register Online for $15 or pay $20 at the door. Be sure to bring your business cards and flyers and join us for an evening of real estate deals, vendors, networking, education and fun on Thursday, January 10th! See you there! Do You Want to Learn the Fastest, Easiest & Most Affordable Way to MARKET Your Real Estate Business? It’s a proven fact that real estate has created more millionaires than any other investment in history, so what’s stopping you from being the next real estate multi-millionaire? I’ll tell you… Marketing! During this meeting, I will share tons of useful and up to date information and teach you how to become a “Marketing Machine” and the “Go-to Person” for hot deals in your market. So what are you waiting for? RSVP and come join Don DeRosa this month at the High Tech Home Buying Creative Deal Structuring Subgroup (AKA the “Meeting Before the Meeting”) at 5PM Sharp to learn how to become a lead generating machine! Learn How to Make More Profit on Every Single Deal You Do! 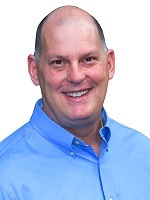 On Saturday, January 12th from 9AM to 6PM at the 3050 North Rocky Point Dr West in Tampa, FL, Larry Harbolt will be sharing with us a full day of new and exciting ideas that will change the way you structure your offers with sellers. He will also show us how to dramatically increase your profits on every deal simply by tweaking the way you structure your offers. Larry will show us how he uses the “4 Key Parts” every offer must contain. He will show us how using a combination of Time, Payment, Interest and Price can be manipulated to give a seller what they want and also get what you want. You will be amazed how easy it is to make profitable offers others can’t match. 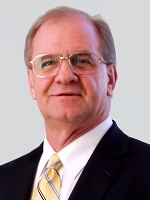 Larry will also explain why paying interest always steals profits and monthly cash flow on every financed deal. Paying more interest than necessary is not a profitable strategy as everyone knows, and is why you end up paying thousands of dollars more for each property you buy. After you hear what Larry will be showing us on Saturday, you will forget thinking that the price is the most important part of getting your offers accepted! There really is a better way! This is such an important subject for you to master. This is new information Larry has presented only once and received rave reviews. The information he will be presenting on Saturday is really simple to understand and easy to use. The best part is this information isn’t taught anywhere on any level. Because of this fact, if you are with us on Saturday, you will have a major advantage over all of your competition. Make your plans now to join us Saturday, January 12th, where Larry will share for the first time in our market, information that will change the way you make offers to buy houses and how you can make more profits on the deals you do. This will give you the upper hand over your competition as you will learn how to structure deals that will bring immediate results. Register Now! Come See This Unique Tampa Rehab Project with New Western Acquisitions! 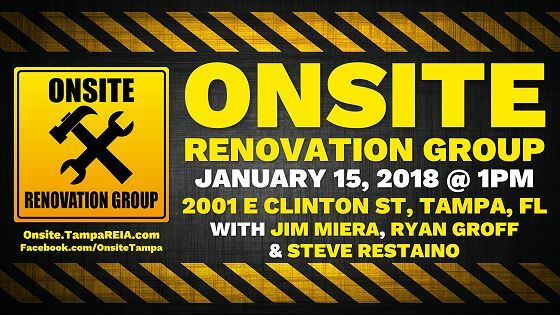 Please join us on Tuesday, January 15th at 1:00PM for the Tampa REIA Onsite Renovation Group (ORG) hosted by Jim Miera, to learn all about finding, funding, fixing, and flipping houses for big profits. 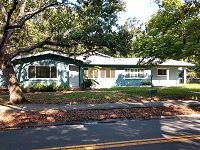 This month’s meeting will be held at 2001 E Clinton St, Tampa, FL which is a rehab project being managed by Ryan Groff and Steve Restaino of New Western Acquisitions. and just over 1900 sq ft, making it one of, if not, the largest home in the neighborhood. that was added through the rehab process. We look forward to seeing everyone at this unique rehab case study on Tuesday, January 15th at 1PM. This rehab will be an exciting and powerful event to learn from! RSVP Now and we will see you there! Beach REIA meets every 3rd WEDNESDAY (New Date) at 6:30PM at Hooters located at 192 W Boardwalk Pl in Madeira Beach, FL Hosted by Courtney Potter, Mark Lepzinski and Rex Gaugh. Come join your fellow real estate investors in a fun networking atmosphere at Beach REIA (Formerly the “Real Estate Investors Happy Hour”) held on the 3rd Wednesday of each month at 6:30PM. Our goal is to get the Real Estate Investing community together in a fun setting where we can discuss opportunities, ideas, brainstorm, network, and figure out additional ways to help each other make more money investing in real estate.